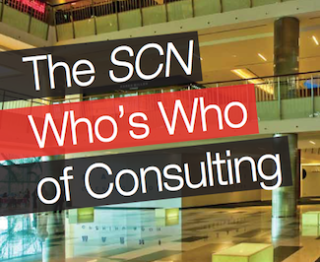 The industry was thirsting for a comprehensive resource on the AV and IT consultant landscape when SCN stepped in to answer the call with our first Consultant Guide in 2014. As are many first-time projects, this one had some kinks to work out—one of which was the inclusive scope of the diverse and wide-ranging firms performing consultative audiovisual and IT services. Simply stated, we missed a few people. As a result, for this year’s second iteration, we are looking to expand the guide, opening it to online submissions. Any firm that provides consultation and AV systems design services is eligible for entry. The form is designed to be quick and easy to fill out, so why wait? The Consultant Guide entry form will be live through September 8, but don’t wait! SCN’s editors will be assembling a wide range of complementary editorial features to the listing, and we want to hear from as many of you as possible. New columns, the latest news, training opportunities, and large-scale Systems Snapshots are all part of this expanded special issue of SCN. This is an industry exclusive opportunity to have AV consultant voices heard in a valuable resource for both the consultant and integrator communities alike. In short, we’re really exciting to be offering this to the industry, and we are eager to highlight the scope of talent and ingenuity that might fly under the radar sometimes. NOTE: To enter, the consulting firm must have offices in North America, and cannot have any integration or installation services. To be eligible, the consulting firm must provide AV or IT design consultancy services without the sale of any products. This includes separate divisions in the firm. Click here to enter your firm today for inclusion in the Who’s Who of AV Consulting.